a. Gastrointestinal-Extensive experience in the diagnosis of colic, medical and surgical management and post-operative care. b. 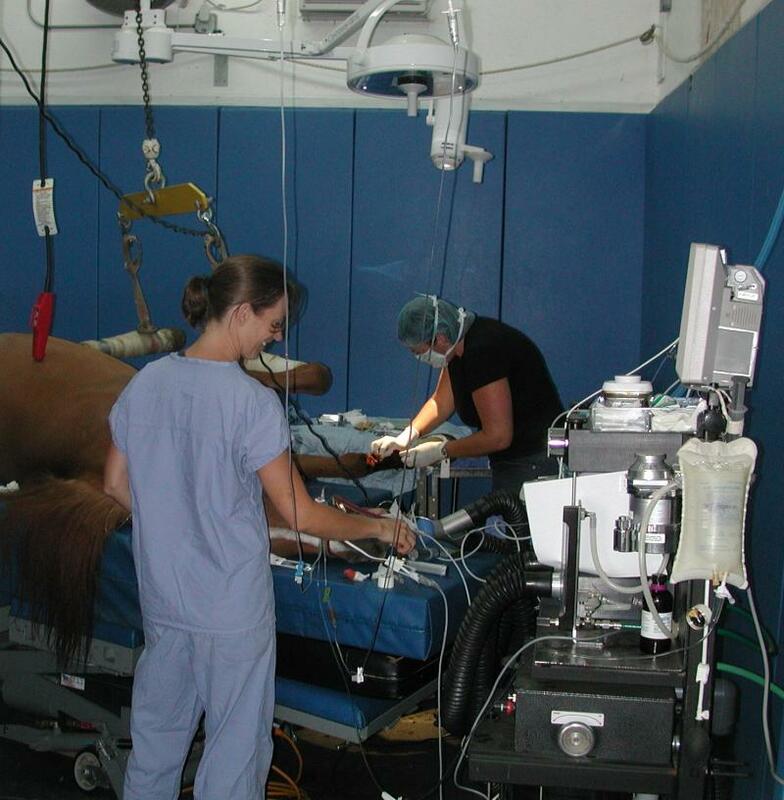 Upper Respiratory procedures-Tie back and tie forward, laser procedures. c. Arthroscopy-Complete system for exploratory surgery of joints and removal of chip fragment and OCD lesions. d. Assisted induction and recovery system for increased safety for your horse. e. General surgical procedures such as mass removal, various ligament surgeries such as for contracted limbs and club feet. a. Eklin Mark II for the clinic and in the field procedures. b. 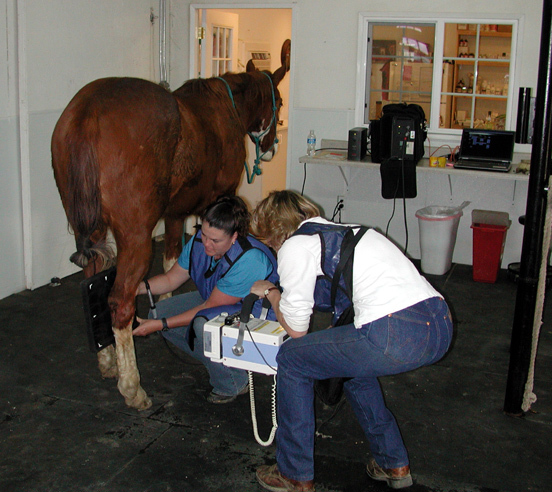 Immediate analysis of radiographs and a copy is provided for clients and referring veterinarians. a. 1 meter endoscope for upper respiratory examinations such as nasal discharges, exercise related noises, and evaluation of ethmoid turbinates. b. 3 meter endoscope for evaluation of the esophagus and stomach for ulceration. Complete laboratory services available for most conditions. a. IRAP system for treating joints and specific soft tissue injuries. b. PRP system for treating soft tissue injuries such as tendon and ligament strain/tearing. Ask us about our results with stem cell therapy and the latest treatment options for your various tendon and ligament injuries. Ultrasound guidance ensures accurate and precise treatment of the lesion. Samples are processed on site and can be banked for future use or sent to your veterinarian for injection. 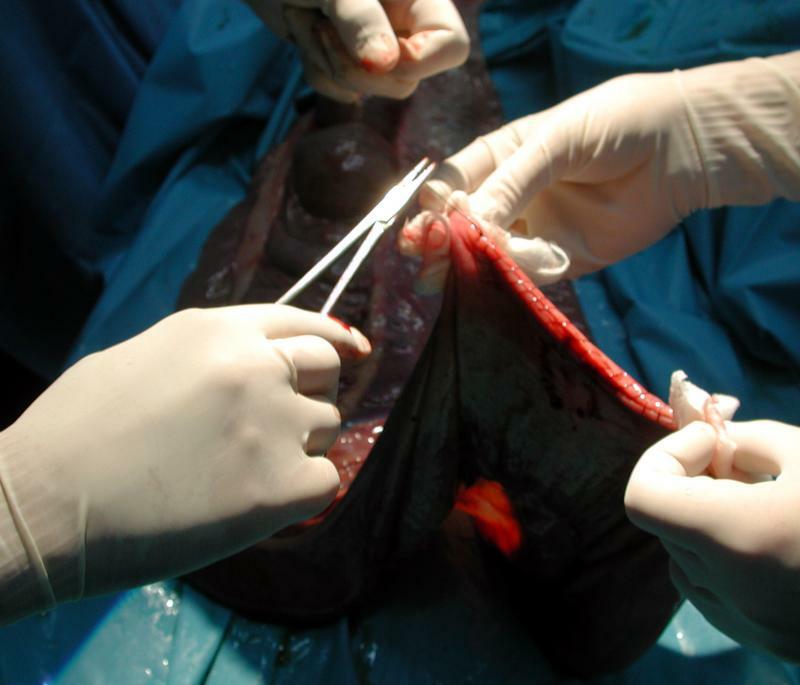 Intra-operative view of closing the intestine after evacuating the contents of the large intestine. 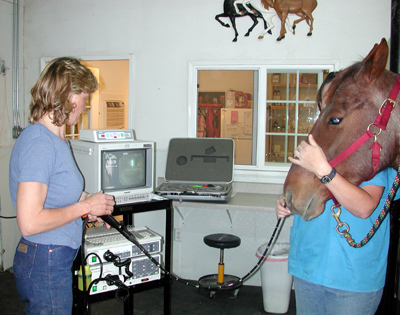 Digital radiography is portable and provides immediate diagnostic results and a CD copy to owners and veterinarians.